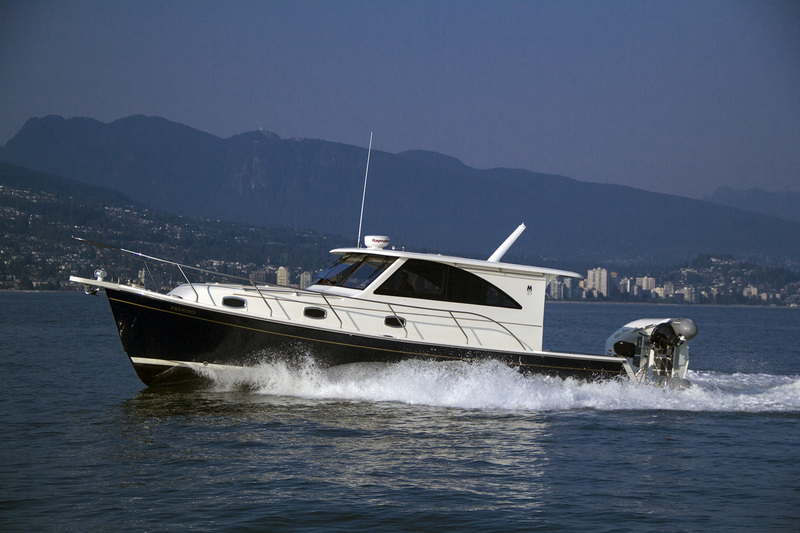  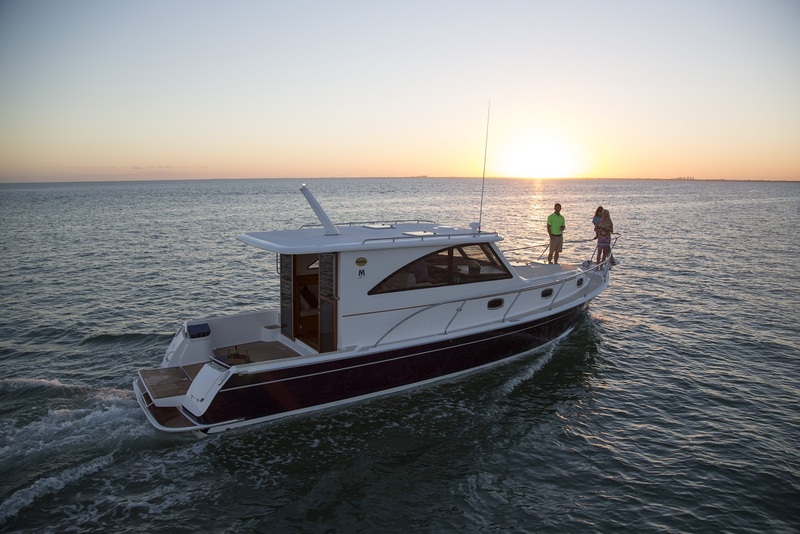 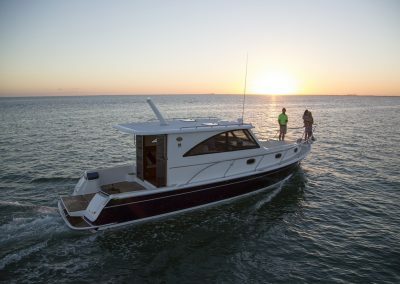 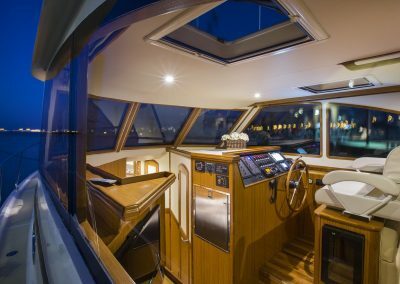 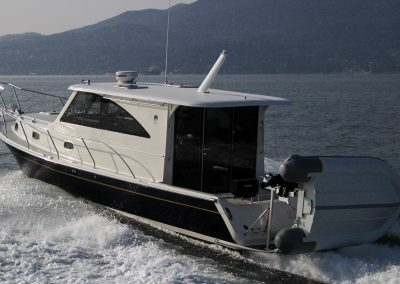 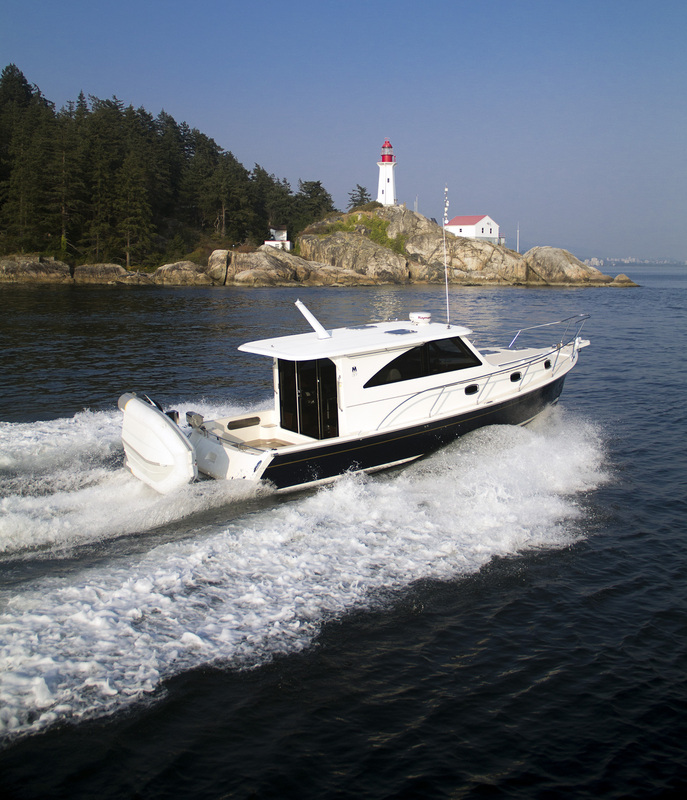 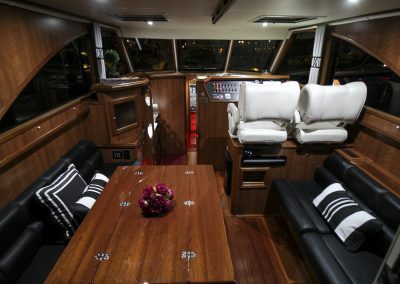 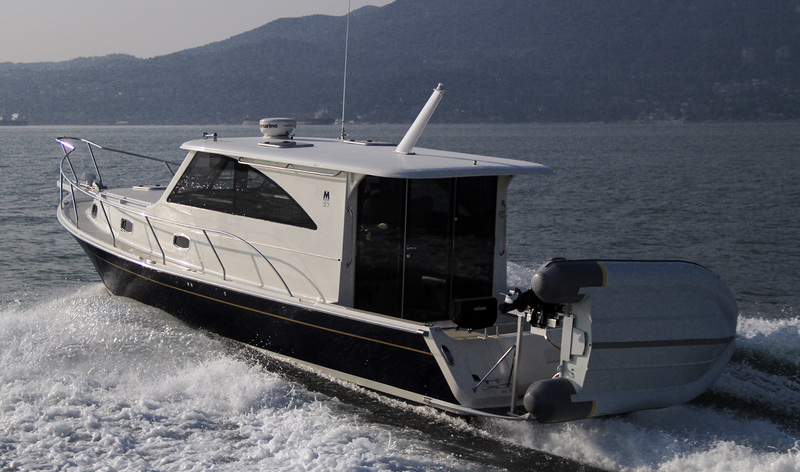 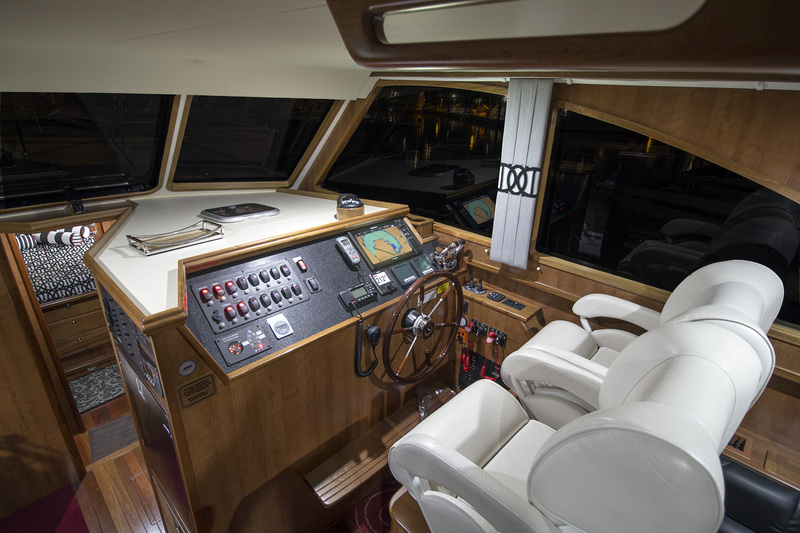 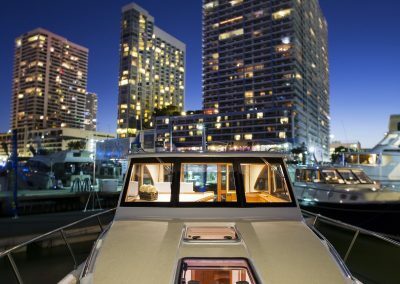 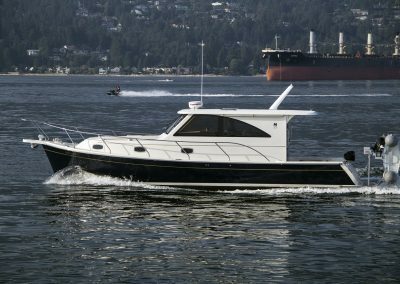 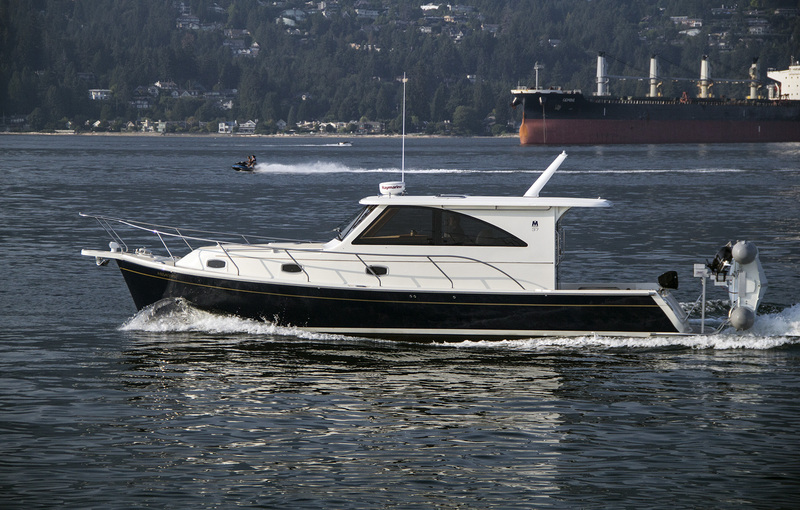 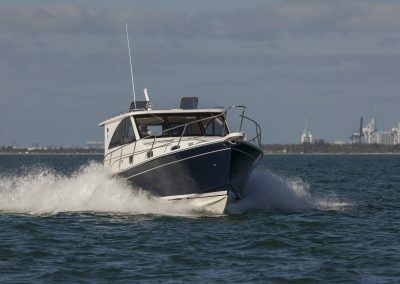 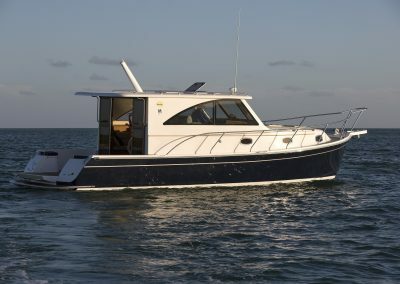 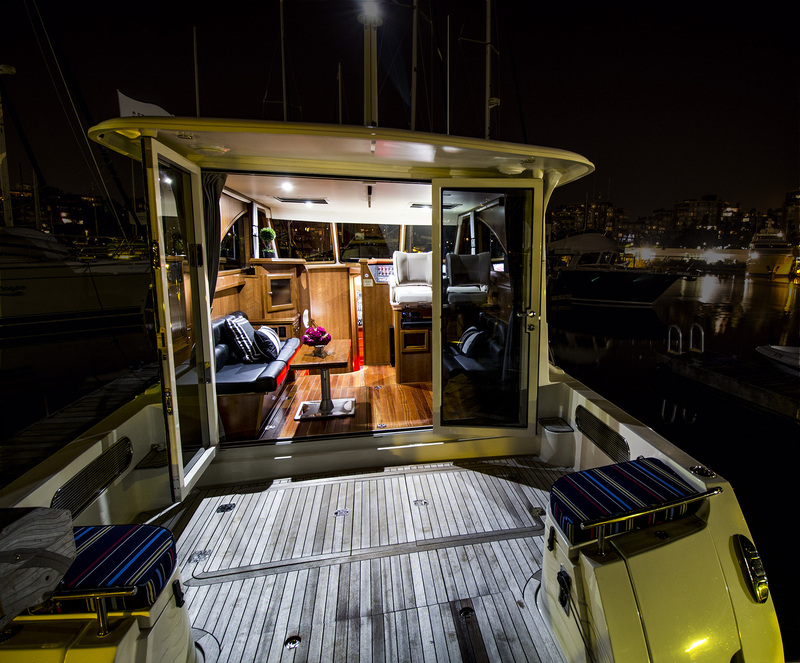 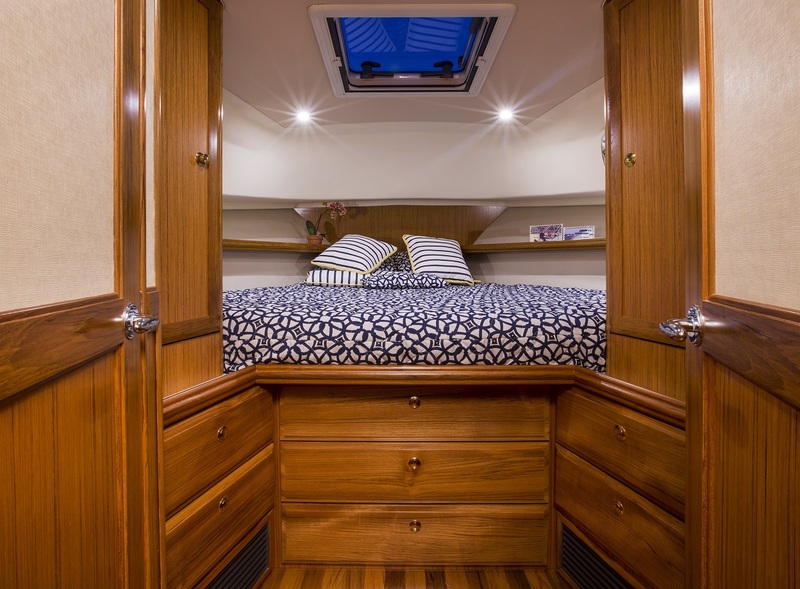 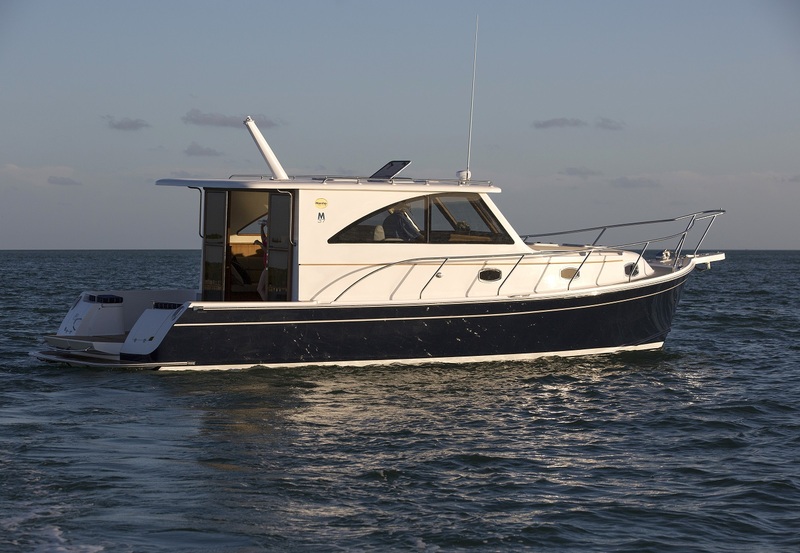 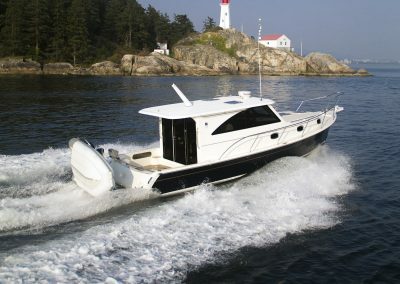 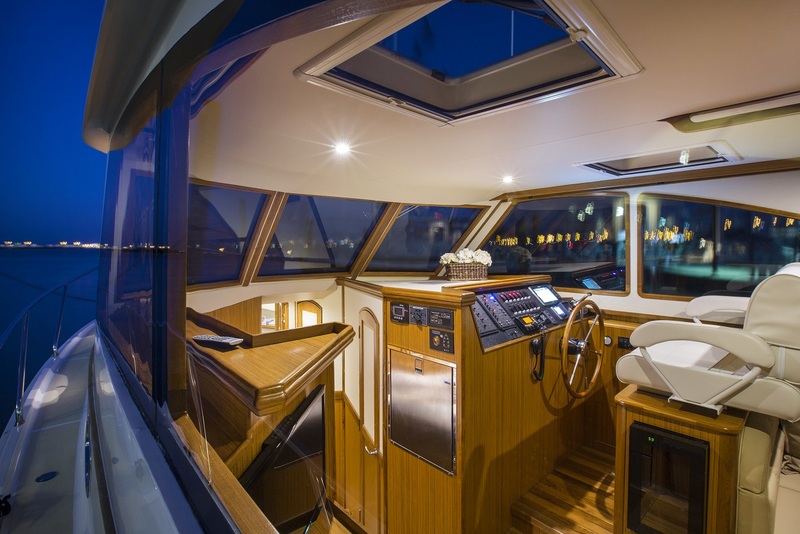 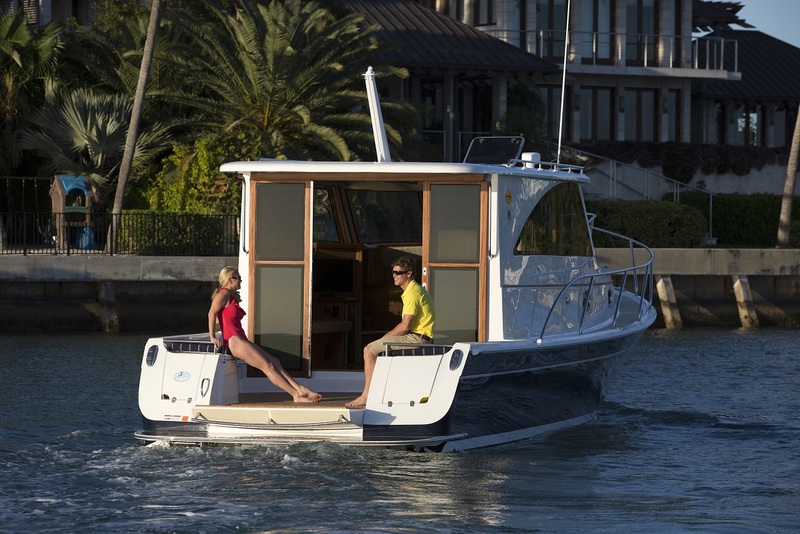 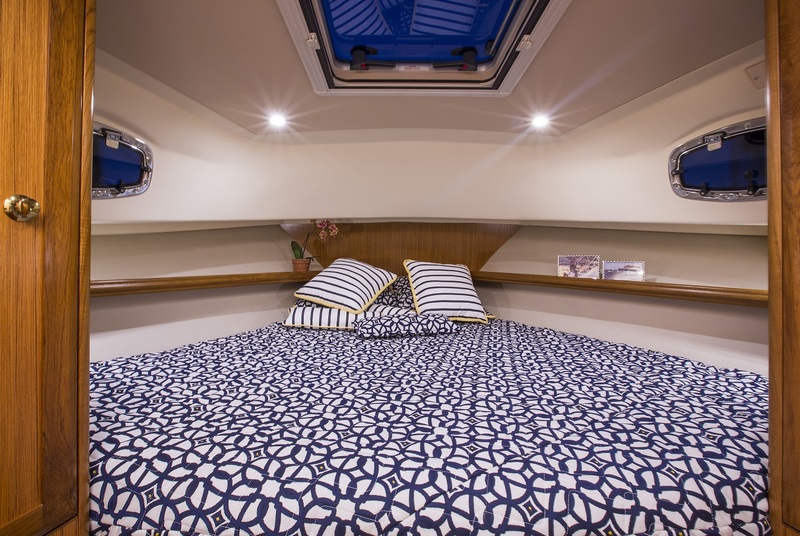 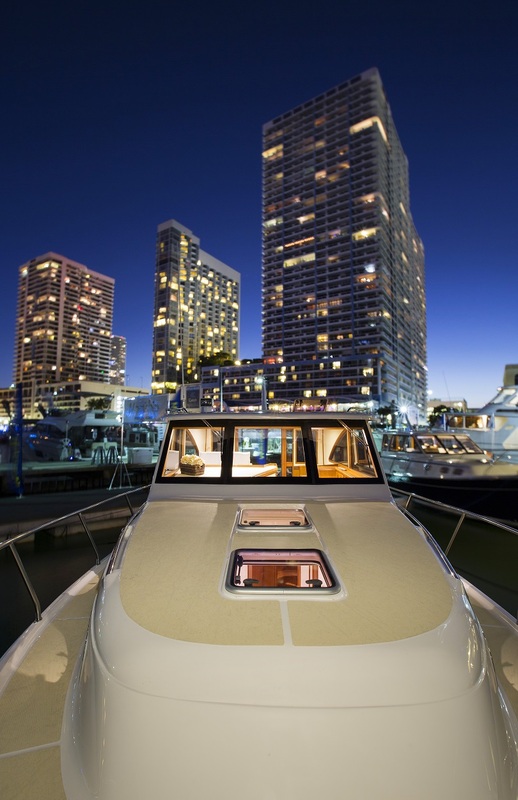 The Marlow Pilot 37 is based on a large 40-foot hull with a very impressive contoured, electric operated transom entryway. 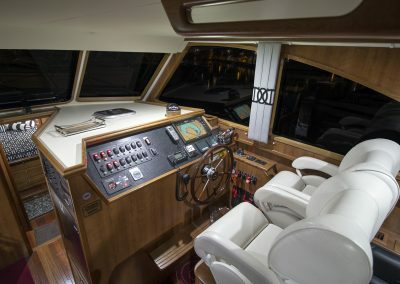 The entrance from the cockpit into the upper salon has a beautiful glass window and door system. 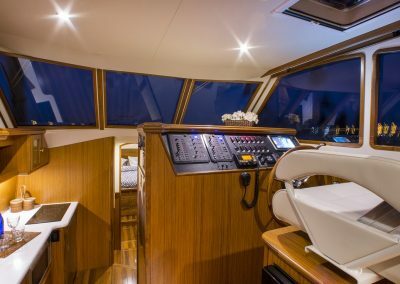 All three (3) glass windows slide up and down for great ventilation and opens up the roomy salon area making it feel even bigger with a beautiful panoramic view. 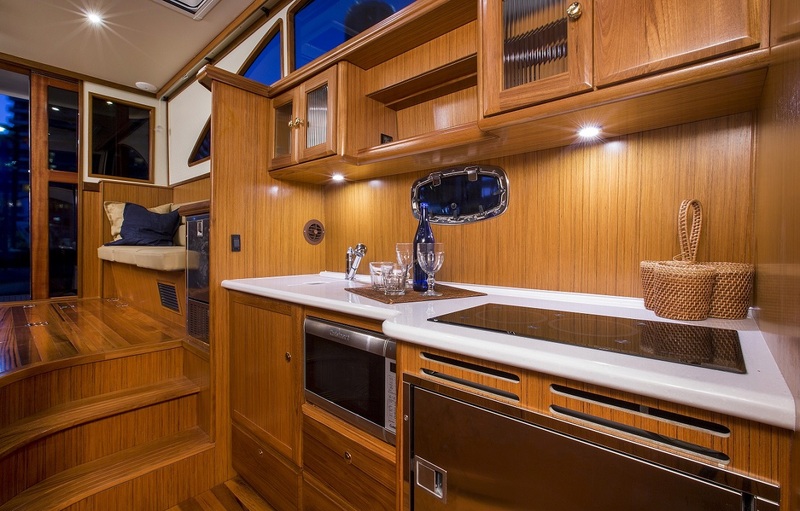 The salon includes a retractable TV, wine cooler, ice maker, along with a table that opens up to a large dining area. 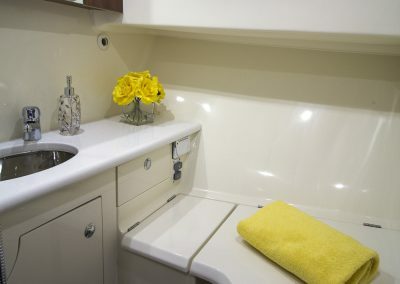 In the lower area of the salon is a separate fridge, freezer, microwave, with stove and oven available as electric or propane. 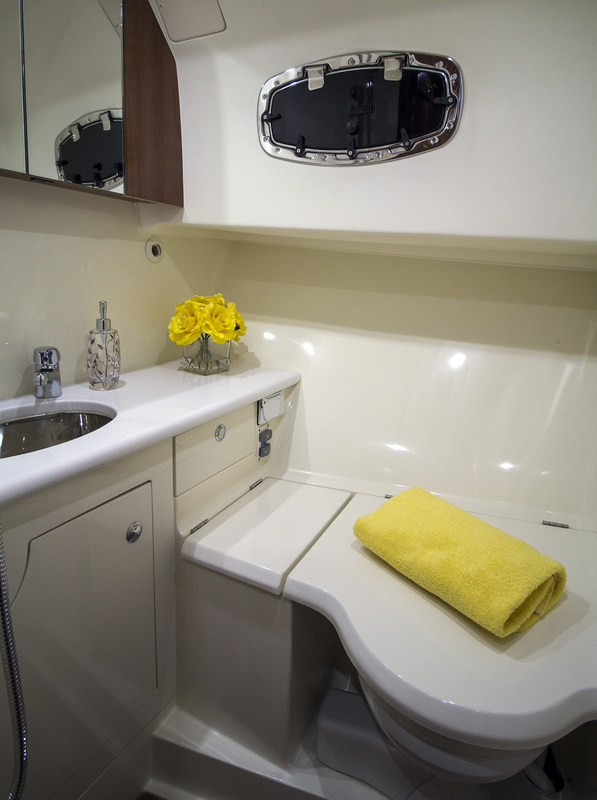 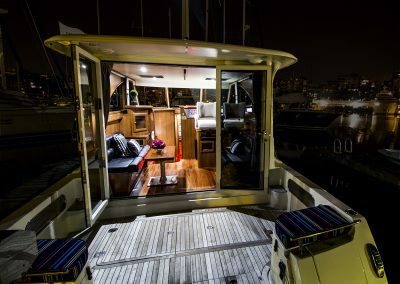 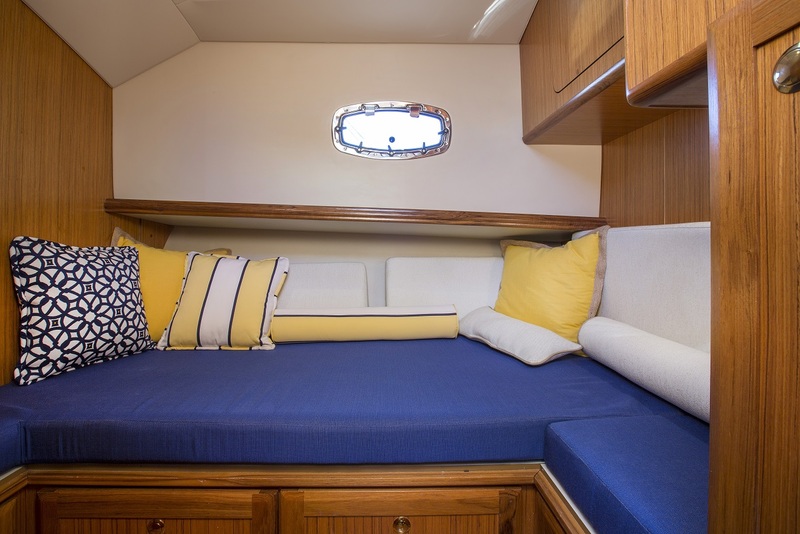 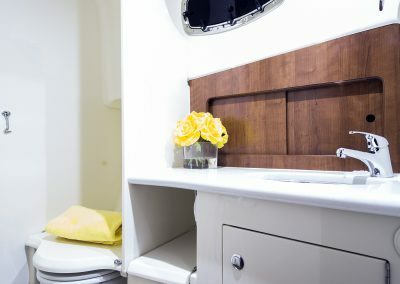 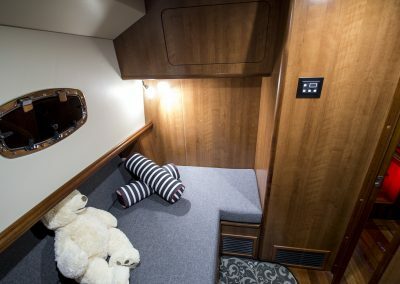 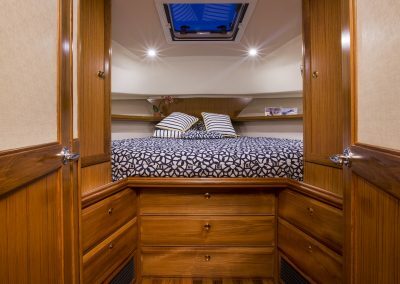 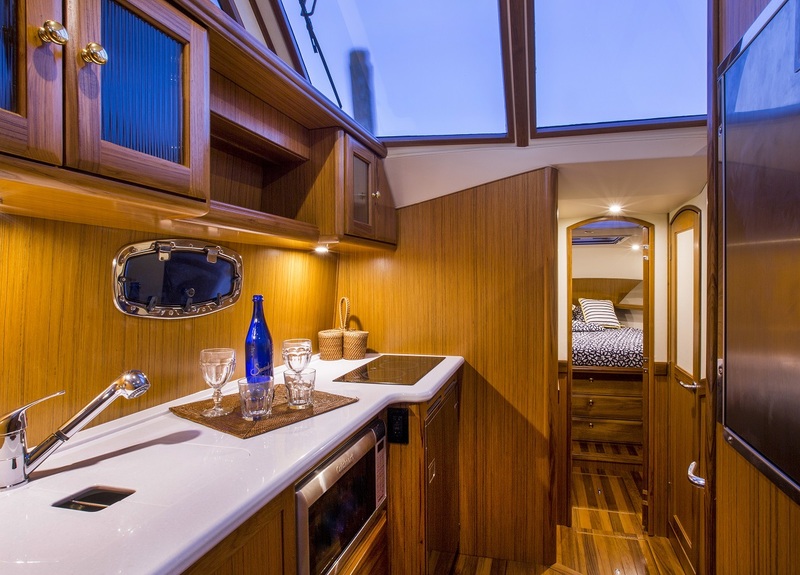 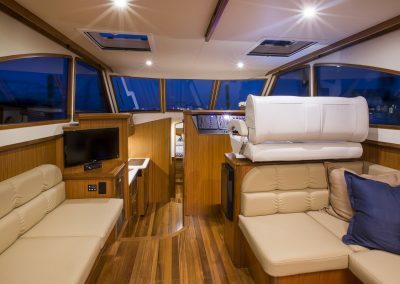 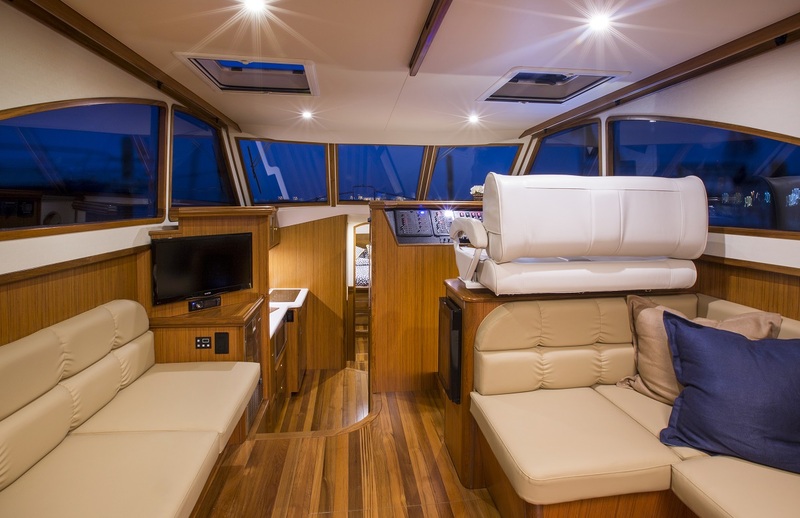 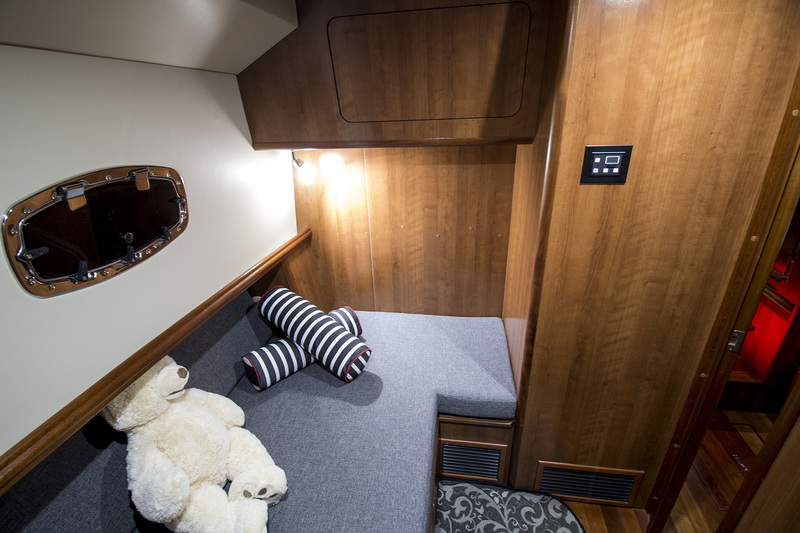 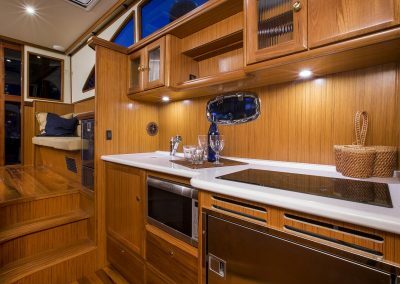 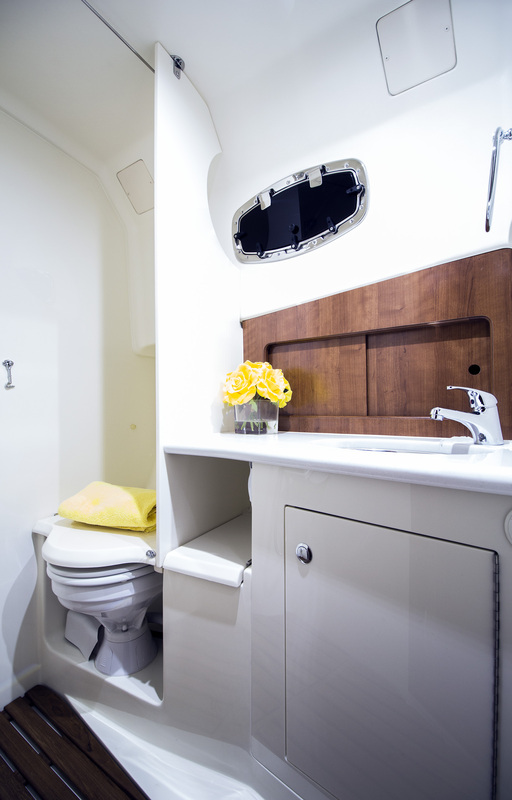 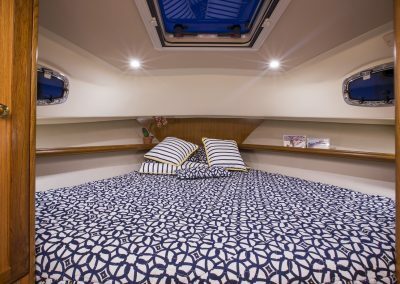 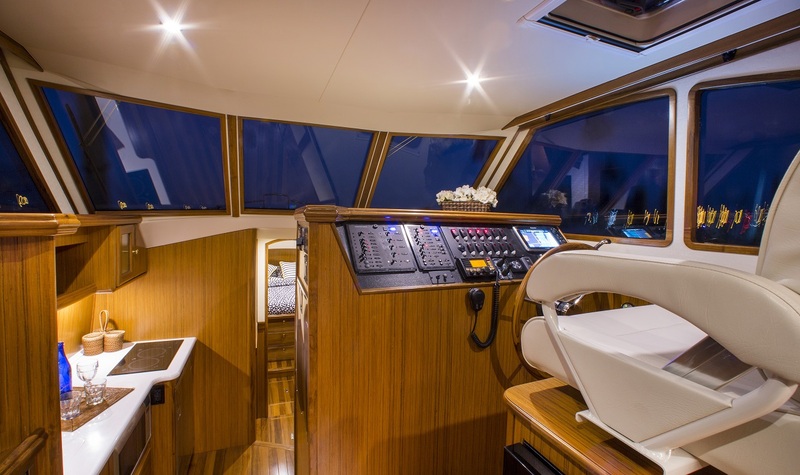 Across from the galley is the second berth or optional “nook dinette” area. There are two full heads, one in the Captains quarters the second forward of the mid ship cabin.